Like mushrooms , which I don’t but that’s another story, I have a preference towards darkness and fretting over the intricacies of life’s bigger questions. Whether it be love, death, time, space or the nature of reality – it’s very much in my wheelhouse. 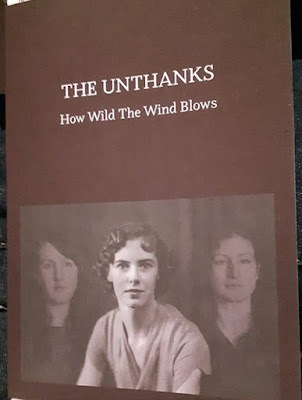 Which is where we find The Unthanks and their latest Diversion, No.4, using the words or Molly Drake, poetess, songwriter and mother to the more well known, Gabrielle and Nick. Cards on the table I knew very little about Molly before I heard about this project, Actually pretty much nothing apart from being Nick & Gabrielle’s mum. I expect this may be the experience of many attendees of this tour and listeners to the album and I can say that it’s perfectly fine. In fact I had preordered the album and it’s accompanying 8 track mini album ‘Extras’ which had duly arrived 2 days before the show but deliberately delayed listening so I could experience the songs for the first time in a live setting. 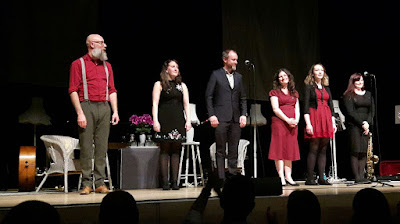 For these shows The Unthanks are a more streamlined setup which serves the songs best – Becky, Rachel & Adrian McNally on piano, Niopha Keegan on strings, Chris Price on bass and water effects plus newbie Faye MacCalman on clarinet and sax. The backing to Rachel & Becky’s vocals are at times sparse and atmospheric but also complex and rising with the words. The songs are often top n tailed with the disembodied voice of Gabrielle Drake, speaking her mother’s words which add a haunting pathos to the evening and the material. The songs themselves often deal with the darker side of existence but that doesn’t mean it is a morose or depressing listen. Ok it’s ain’t no disco but there is hope and sunshine In many of the thoughts expressed – “Never pine for the old love / go out and find the new” , ‘Dream Your Dream’” which is arranged like a valedictory torch song and ‘Poor Mum’ which is a response to Nick Drake’s ‘Poor Boy’ lamenting the lost dreams or chances of her life. ‘Soft Shelled Crabs’ muses on the brittleness of some when weathering life’s storms but with a sparklingly witty lyric. The stage is simply dressed with wicker armchairs, standard lamps and chintzy décor, two cloth screens used to display images of Molly, mostly in stark black and white echoing all the images of Nick Drake ever seen but when they burst into colour during main set closer ‘Road To The Stars’ we appreciate this wasn’t a life lived in monochrome. The band return for Becky to deliver a stunningly sultry and wistfully mystical version of Nick’s ‘River Man’ – which stretches like a long lazy riverboat. 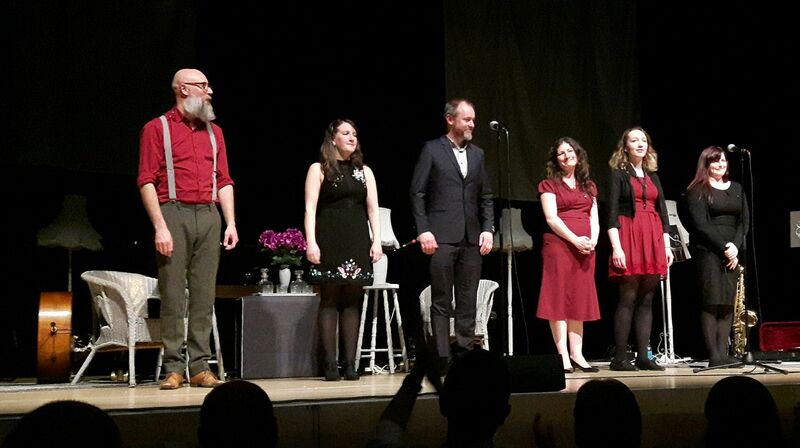 It takes confidence to play all new songs and The Unthanks have faith that their audience are grown up enough to go with them on the journey. Through the Unthanks presentation of her work we come to know Molly Drake and appreciate her art – this moving, uplifting and perfectly marvellous show is a great tribute to her and the musical beauty of The Unthanks. Long may their varied diversions continue. You can get a copy of Diversions Vol.4: The Songs & Words Of Molly Drake & it's companion EP direct from the band before it’s release at the end of May. Or alternatively, get a ticket, go see this for yourselves and join the heaving throng at the merch table.